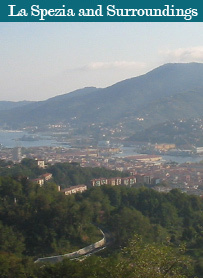 Easily find accommodation in La Spezia, for la spezia holiday, thanks to Aposada. 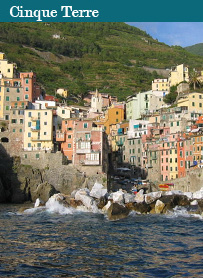 Our guesthouse in La Spezia is located not so far to cinque terre, so you can reach cinque terre form our guesthouse in very few minutes. Welcome to Affittacamere A Posada, a newly refurbished La Spezia city centre BandB, ideal base to visit the Cinque Terre area and the "Gulf of Poets" (Portovenere, Lerici, Tellaro, Fiascherino, etc..). Affittacamere A Posada is located in the very heart of La Spezia, adjacent to the city centre pedestrian area, with its restaurants, bars, cafes, shops, supermarkets, museums, etc.., it is within walking distance (300 meters) from the main Railway Station of La Spezia, connecting to the Cinque Terre area with a 7 minutes train ride (Riomaggiore, Manarola, Corniglia, Vernazza, Monterosso). A space for your leisure, holidays, study and work. We offer four newly refurbished spacious rooms, all en suite.